The ultimate outsider inside the citadel of moviedom, Nicolas Roeg makes films his own way. But that wasn't always the case. He began working as a camera assistant and focus-puller in the early Fifties. He soon advanced to camera operator, and by 1961 he'd begun a 10-year career as a cinematographer for some of the most influential directors of the time, working with David Lean (Lawrence of Arabia), François Truffaut (Fahrenheit 451) and John Schlesinger (Far from the Madding Crowd). His breakthrough as a director came with Performance (1970) — a hallucinatory account of an on-the-run assassin (James Fox) drawn into the bohemian world of drugs and eroticism in the home of Mick Jagger and Anita Pallenberg. Walkabout was released the next year — an awesome cinematic opus (which Roeg also shot) in which a depressed father drives his children to the Australian desert and tries to kill them before he kills himself. They survive the outback thanks to the intervention of an aboriginal tribesman who is on his own rite of passage. 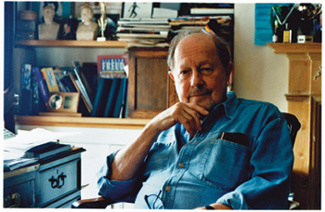 Roeg continued to work as a director (and occasional producer), developing his distinct vision. He is currently working on the film Adina. Stop Smiling: You're really stretching the medium in your films. Sometimes you use stills, backward motion, superimpositions, voiceovers, flash-frames, slow motion. You pull out all the stops. Nicolas Roeg: I don't think of it as technique. It's how we think. I find human exchange very difficult. I listen to the radio a lot. Often the phrase “What I mean is” comes up, or “Do you understand what I'm trying to say?” Certainly in our language, English — it's so vast — the meaning changes. It's a living beast. Your grandfather coming back would wonder what people were talking about. In every sort of human exchange, there is the difficulty of being understood. I try to use as many emotional and visual sound links as I can to make words understood. We're stuck in all kinds of forms. The retained image is a marvelous thing, because it has nothing to do with literature. I've always thought that documentaries are even less historical than dramas. There's always someone selling you a political program with documentaries. When you ask about technique, I like to think that cinema is totally undiscovered so far. Someone said to me, “I don't understand all these flashbacks and flash-forwards.” But that's how we are in life. I tried to do this in Bad Timing. When the lovers meet again, their thoughts are different from what they actually say to each other. That's a marvelous thing to be able to do, but it's not a technique. It's trying to establish a cinematic understanding. In terms of business and marketing, and trying to get a lot of people into cinema, I've seen that form coming via other filmmakers. But it's taken until now to really become even part of it! SS: I'm interested in what you said before about emotional and visual sound links. Are these elements what help you achieve the merging of setting, action and character that distinguish your films? NR: Somewhere in the subconscious — that's what we do, as people — we look at one another and wonder what's going on in one another's minds. I like to shoot a lot of detail. In the editing, I try to give the characters not just an exchange of dialogue, but also the visual details of their situation. The situation is part of thousands of different things. We're living in the most extraordinary world, where everything about us is a part of the story of our lives. A curious door opened for me in India. Sounds grand, doesn't it? At one time, I was fascinated with the Indian storytellers. The storyteller would sit down on a street corner, put out his bag and a candle. People passed by, and he'd start the story. Magicianlike, he talked while continually putting out curious objects, such as an old glass amulet or goatskin book. People would sit down, light up a candle, listen and toss him a coin. All of these actions were like shots, to me. Good storytellers had quite a crowd, and the crowd would invariably be laughing. When they'd had enough, they'd move on, having taken from the story just the amount they wanted. But the storyteller continued — not until he had finished the story, but until he wanted to go home, to lunch or to bed. The story was left open, as all our stories are.